> Blog > What does GOTS certifications guarantee us? 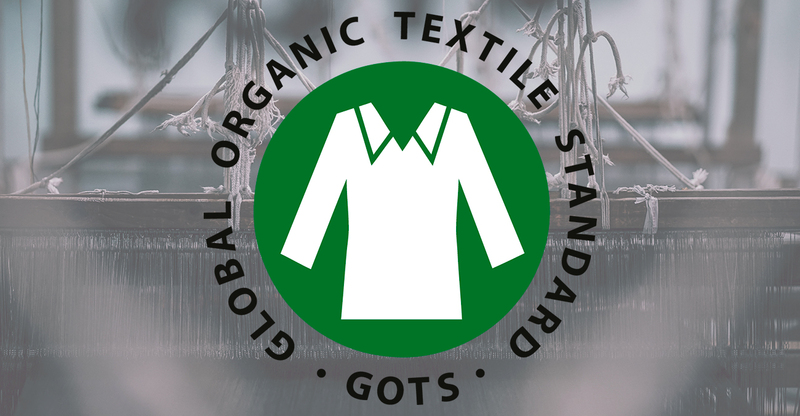 Within the Sustainable Fashion there are many certificates, but perhaps one of the most complete and recognized is GOTS (GLOBAL ORGANIC TEXTILE STANDARD), but what does this certificate do and why we should trust it. One of the main objectives of the certificate is to ensure that when we dress with products with their seal, we have the certainty that the environment has been respected in all stages of the manufacturing process, from the harvest of cotton to the garment that we put. This also guarantees that organic fibers have not come into contact with conventional fibers during the process, as well as defining the minimum organic weights in products labeled with their certificate. The GOTS stamp is a guarantee of quality with respect to the response to washing and sweating, as well as the soundness of the material. All materials are subjected to strict controls to avoid any residue that is not wished into the fabrics that will become your clothes. Maybe you did not know it, but GOTS certificate also takes care of the people who participate in the production process. Guaranteeing that all products labeled under their seal have been produced in conditions with minimum salaries that allow a life that is worthy, in human, freedom, regular and non-discriminatory conditions.